There are two different types of chickens which are raised in Zambia, broilers and layers. Broiler chickens are purchased when they are a day old for about $1 USD. In just 5 to 6 weeks they are full grown and are sold for around $8 USD, making a profit of close to $4 USD a chicken after feed and medication is taken into account! Layer chickens are purchased when they are six weeks old, and lay an average of one egg a day for a year. 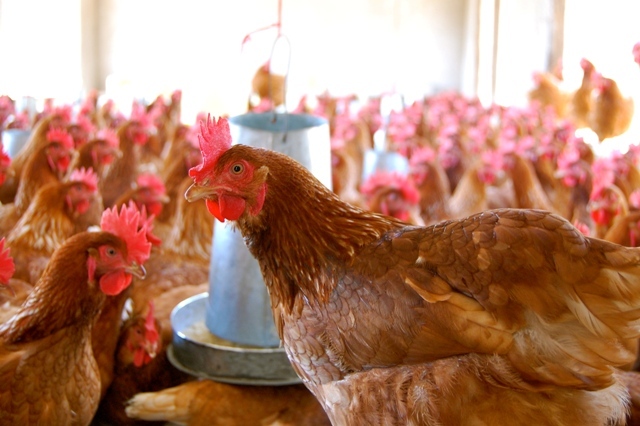 Once they stop laying eggs, they can be sold for meat. Over the coarse of a year, a single layer chicken can produce a profit of almost $30 USD. In a given year, broiler chickens (rotated every six to eight weeks) and layer chickens (kept for the entire year) end up making comparable profits.